I've invested in Real Estate since 1997 but decided to take a more active role as a Realtor in 2006 in the Southern Maryland area. I am a HOC (Housing Opportunity Certified agent) that works directly with civil servants and those in entry-level jobs to help them reach their goal of homeownership. Need help selling your home? If you live in Southern Maryland and are planning to sell your home, please feel free to contact me at any time. We at Exit Landmark have an advanced strategy and marketing plan to get your home sold for the highest amount possible in the least amount of time. 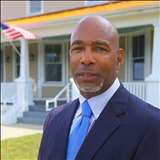 Licensed in Maryland since 1990, Bob has helped hundreds of people with their Maryland real estate needs. Bob holds the Accredited Buyer Representative (ABR), the Graduate REALTOR Institute (GRI), the Certified Distressed Property Expert (CDPE), and US REO Partners designations. ________________________________________ Most importantly, whether you're a Buyer or Seller, Bob is friendly, personable, and continually makes every effort to ensure all of the details are being handled properly so his client's real estate experience exceeds their expectations. Bob understands that customer service is not just a thing of the past and he continually strives to provide world-class service. ________________________________________ Welcome! If you're a buyer, begin your search either by clicking the “Buy” link above or use the handy search box to your left. Considering selling? Click the "Sell" link above to begin. Please free to contact me for any assistance or questions. My name is Bryan W.”BLAQUE “ Tate Sr. I am a Realtor with EXIT Landmark Realty in White Plains, Maryland. I specialize in assisting Buyers and Sellers with their Real Estate needs in the Southern Maryland Area, which encompasses Prince Georges County, specializing in the areas of Accokeek, Brandywine and Clinton. Charles County, specializing in the areas of Waldorf, White Plainsand Hughesville. Calvert County, specializing in the areas ofHuntingtown, Prince Frederick and Lusby, and St Mary’s County specializing in the areas of Leonardtown, Hollywood and Great Mills Maryland. I have been a Licensed Realtor in the State of Maryland since 2009.I am a Member of the National Association of Realtors, the Maryland Association of Realtors and the Southern Maryland Association of Realtors. I hold the Certified Military Relocation Specialist Designation. I am also extremely PROUD to be a part of a National Program called Homes for Heroes! It goes Hand in Hand with my Passion for having a Servant Attitude toward our Heroes who go about their daily jobs of keeping us Safe! Homes for Heroes provides real rebates and real discounts for our HEROES who are Buying or Selling their home. It is my way of saying “Thank You” for Your Service for those who give so much for us on a Daily Basis! Southern Maryland’s Premier Real Estate Company, EXIT Landmark Realty prides itself on the ability to assist our customers in the buying and selling process with our fully trained and highly qualified salespersons. We continually strive to make each transaction a smooth one. Our objective is to provide the highest level of customer service and finest real estate service to our clients. I have been a resident of Southern Maryland since 1981. I am a Retired Deputy Sheriff from the Prince Georges County Office of the Sheriff, a former Corrections Officer with the Prince Georges County Department of Corrections, and an Honorably Discharged Army Staff Sergeant that served my Country for over Thirteen (13) years. With that being said, and having spent the majority of my life in service related fields, I PROUDLY specialize in assisting Military, Law Enforcement and Public Safety Personnel with their Real Estate needs. I am an Active Member of the American Legion Randolph Furey Post 170, as well as an Active Member of the Maryland State Fraternal Order of Police Lodge 112 . I take great pride in delivering the best Real Estate Experience that I possibly can to my clients ! As a Realtor with Exit Landmark Realty, I bring special tools and solutions that exceed the expectations of my clients. If you are considering listing your property in Southern Maryland, ask me about our aggressive internet marketing systems. I would love the opportunity to earn your business . “So if you are considering making a move, Make Your Next Move with Blaque Tate and EXIT Landmark Realty, Southern Maryland’s Premier Real Estate Company !” You can find me on the web at www.Blaquetate.com I look forward to hearing from you soon! Darrell has over 35 years of experience in buying, selling and renting homes throughout the United States. Allow Darrell to turn your Housing Dreamz N2 reality. During the last seven years I have had the pleasure of working with numerous clients throughout Charles, Calvert, St. Mary's, and Prince Georges, Counties on a wide variety of transactions. My listings typically go under contract within less than a month of being on the market, at or very near asking price. I have gotten many accolades from buyer clients who say that they are pleased at the outcome of my negotiations on their behalf. I have met my challenges head on; and with tenacity and integrity I have achieved the desired goal for my clients consistently. I am an affiliate with the Homes for Heroes Program which allows me to provide monetary perks for my clients in a variety of career fields, who are considered every day heroes in our community. I'm a full time, experienced agent. Connect with me and let's make your dream a reality. I am also a certified Homes for Heroes Affiliate and a certified Home Partners of America agent. Hello, I am Kyana Mosley, a licensed Real Estate Agent with EXIT Landmark Realty in White Plains, Maryland. Assisting others in the purchase or sell of their home in Southern Maryland is my forte. I specialize in turning houses into homes the cities of Waldorf and White Plains. I will work with you to find the right home at the right price, including the neighborhood amenities that matter and essential criteria you have for your ideal home. My goal is to make your experience as smooth as possible, and the family-like atmosphere within the EXIT team sets the tone for a comfortable yet professional environment for ourselves and most importantly YOU, the client. When it's time to move, you need someone who will advertise your home, show to prospective buyers, negotiate the purchase contract, arrange financing, oversee the inspections, handle all necessary paperwork and supervise the closing. I can take care of everything you need, from start to close. Oftentimes buyers don't visualize living in your home the way you do. I can make your home attractive to its ideal audience - which can help you get top dollar. Things like staging the home, making repairs or minor improvements, or even simply painting the walls can be the difference between a home resting on the market and one that's sold fast. Our team’s objective is to provide the highest level of customer service and finest real estate service to our clients. To assist in accomplishing this goal, we have access to numerous data sources, on-line resources, various marketing tools and an extensive network of experienced real estate professionals. As a 24-year Air Force Veteran, I have served as a team member, leader and manager. Along with being a Veteran, I am also a military brat, so if anyone knows the pressures of moving, I do! I am also a wife of a Navy Veteran and mother of 5. Although I have moved many times in my life, Maryland became home to me 30 years ago. Presently, Waldorf is our home and I absolutely love Southern Maryland. If you are looking for someone that is hardworking, trustworthy and professional; no need to look any further. While working as your agent, I will be dedicated and committed to bringing you the service you deserve. 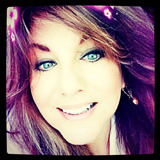 Shawn Renae Jones is a Realtor with EXIT Landmark Realty and a Homes For Heroes affiliate. She has been in the Real Estate industry for 20 years. She started her career in Real Estate working for an Appraiser James W. Shelton & Associates as a Secretary learning the ropes from the ground up while attending The College of Southern Maryland where she studied Art and Photography, winning numerous awards and shows. She later entered the Title side of the industry at Jarboe Title as a Processor and later with Preferred Title as a Processor, Settlement Officer and Marketing Specialist, and most recently with Resource Title as Production Assistant and Processor. Shawn has also worked as a Mortgage Lender with HCI Mortgage, Capital Mortgage and 1st Mariner Mortgage. 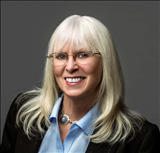 Her wealth of knowledge from all the various aspects of the Real Estate field sets her above the rest as a valuable source of information for all her clients. A resident of the Southern Maryland transplanted from Southern California as a child she prides herself in giving the Red Carpet Treatment to each and every Buyer, Seller and Renter. She always works diligently going above and beyond her clients expectations to make sure that they are 100% satisfied. As a Consumer you owe it to yourself to expect the best! EXIT Realty provides all their Realtors with cutting edge technology and training. Great agents are not born they’re trained. This statement alone is why Shawn’s choice to join EXIT Realty, upon becoming a licensed Realtor was an easy choice. The expertise and professionalism of EXIT Realty Realty sets them apart from the competition, they are dedicated to ensuring the customer is 100% satisfied throughout the entire process. As a Homes For Heroes affiliate Shawn goes a step further by giving back to Heroes when Buying or Selling homes. In addition to being a Realtor, Shawn is also an Artist, mostly doing small works of art for friends and family and an occasional art show. Shawn has been actively involved with several committees with the Southern Maryland Association of Realtors (SMAR) those committees are the: Awards & Events Committee, Education Committee, and Community Relations and CARE Award Committee. Nearly a 100% of Shawn’s business comes from customer referrals, those customers are all members of her community and attest to her dedication as a member of the community and a Realtor. ● Specialties: A complete and detailed understanding of the Real Estate, Mortgage, and Title process from start to finish. Welcome to my website, your source for real estate in the Southern Maryland and the surrounding area. Looking to purchase a new home? Avoid feeling overwhelmed and use my experience and knowledge to find the home of your dreams. Thinking of selling? Exposure is everything. Leverage my experience and marketing tools to turn ‘selling’ into ‘sold’. Have questions? I’m here to help find answers and provide insights into the local area. Selling Homes ! Serving People ! Licensed Maryland & Washington DC agent with 7 years in the property management industry. Professional member of Realtor and Southern Maryland Realtor Association. Experienced in the buying and selling market. I will go that extra mile to find you the perfect home and ensure that you get the best home buying and selling experience. Education accomplishments include a Masters degree in Business administration and a Bachelors degree in Communication. I love to learn and continue building my real estate knowledge daily so that I am up to date with all past and current changes in the real estate market. If you are looking for I house I'll find you a home. Contact me today.